G5191BK Punk rock war-lord, Tim Armstrong makes no apologies that the music radiating from his soul at times can be loud & ferocious. His guitar tone alone has become as infamous as his world renown persona. 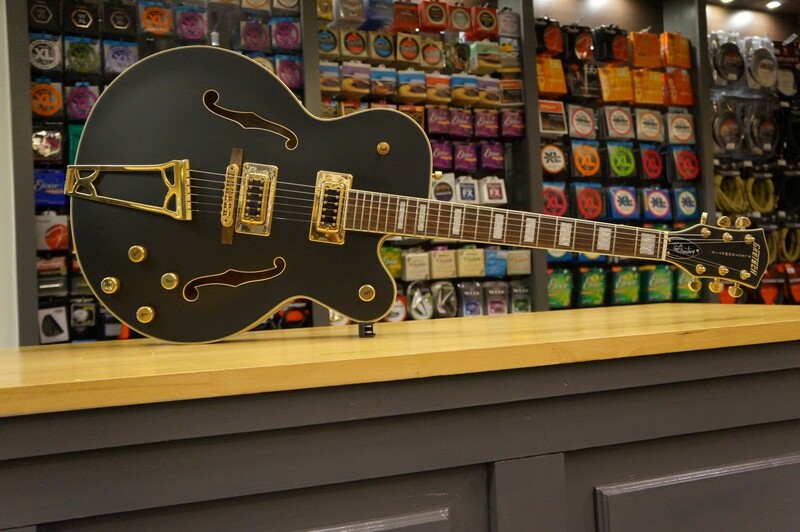 Gretsch is proud to introduce the G5191BK Tim Armstrong Signature Electromatic Hollow Body guitar. 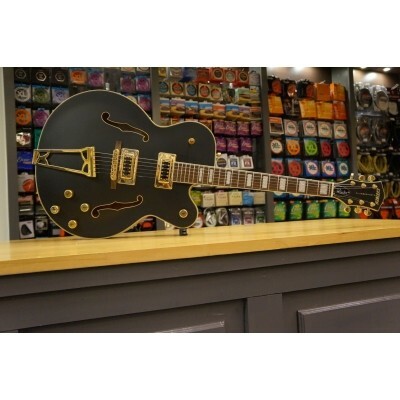 A big sound resonates from the parallel tone bars and sound post mounted under the top of the 17 inch wide body, which has a harp tailpiece and a pair of Black Top FilterTron™ pickups for maximum sustain and tuning stability. Grover® tuners, big block fretboard inlays and gold-plated hardware set against the ominous FLAT BLACK urethane finish are a recipe to incite your senses to euphoria.